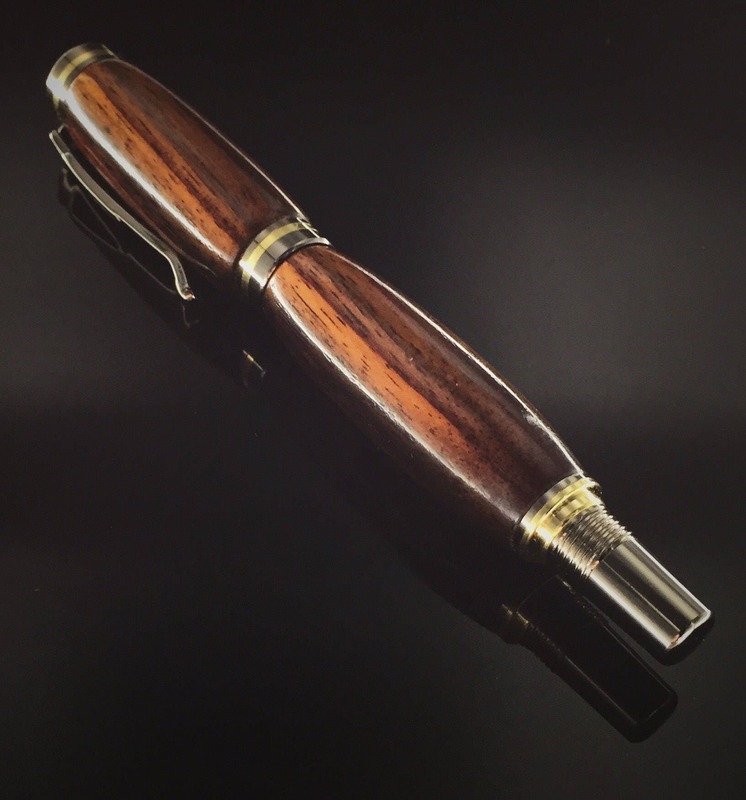 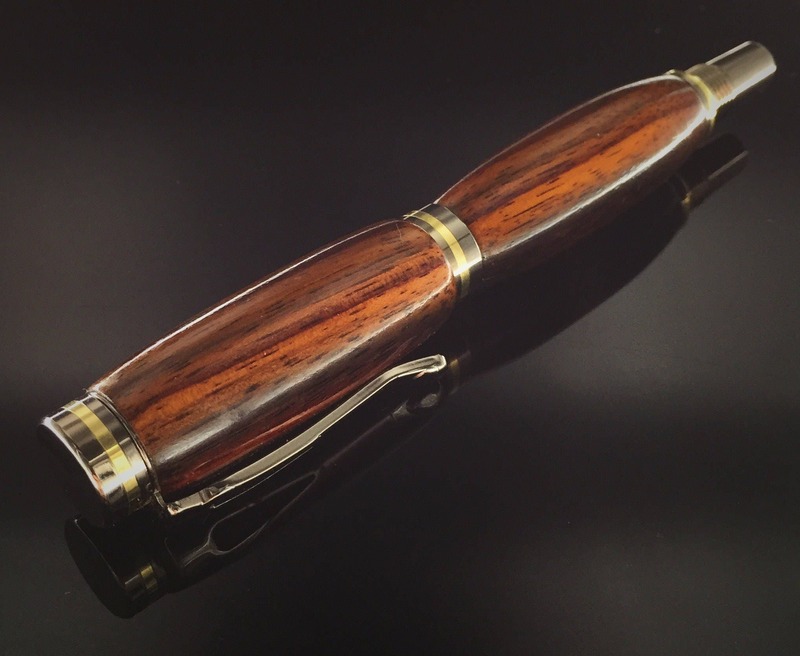 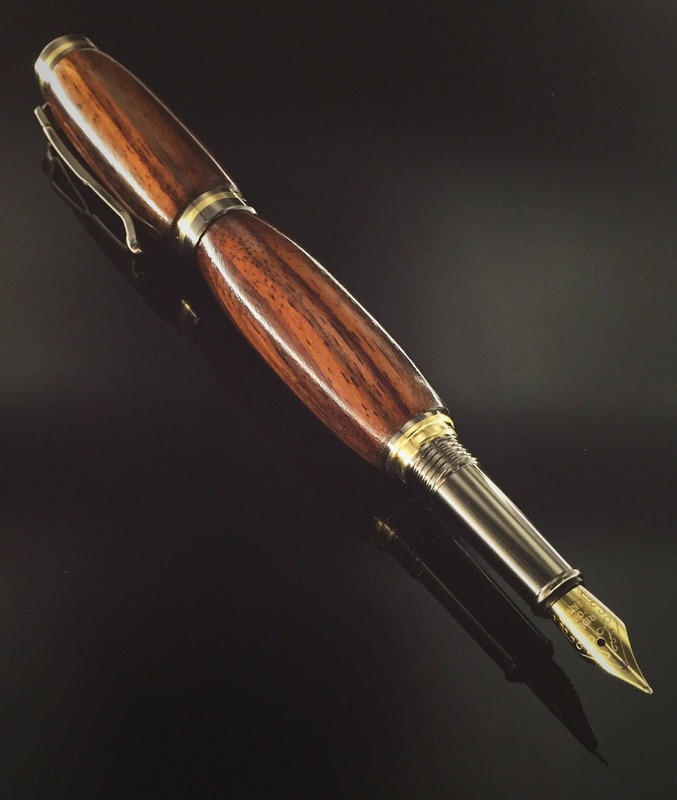 Beautiful handmade Cocobolo fountain pen. 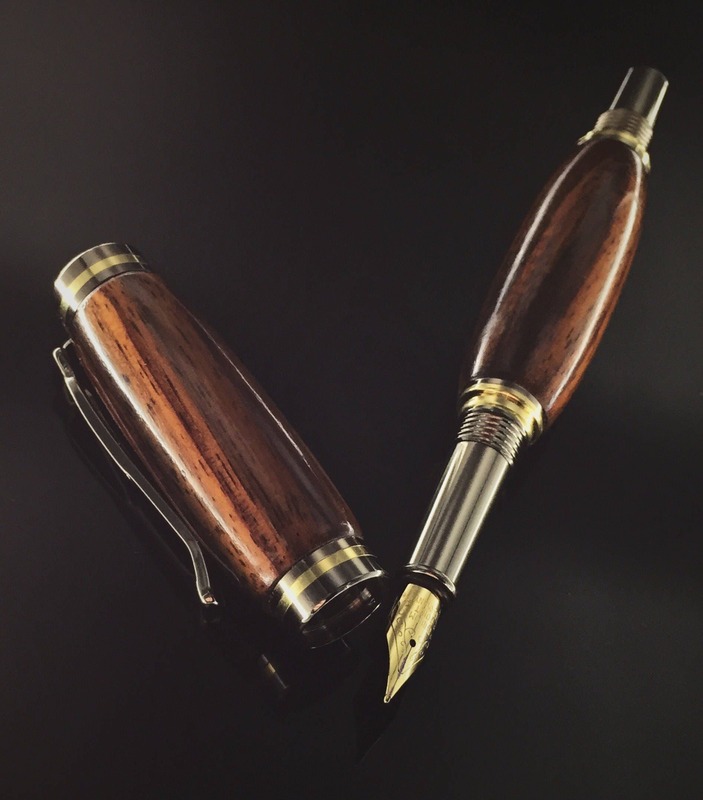 Writes like a dream, and accepts standard disposable cartridges, or works with the included refillable ink well. 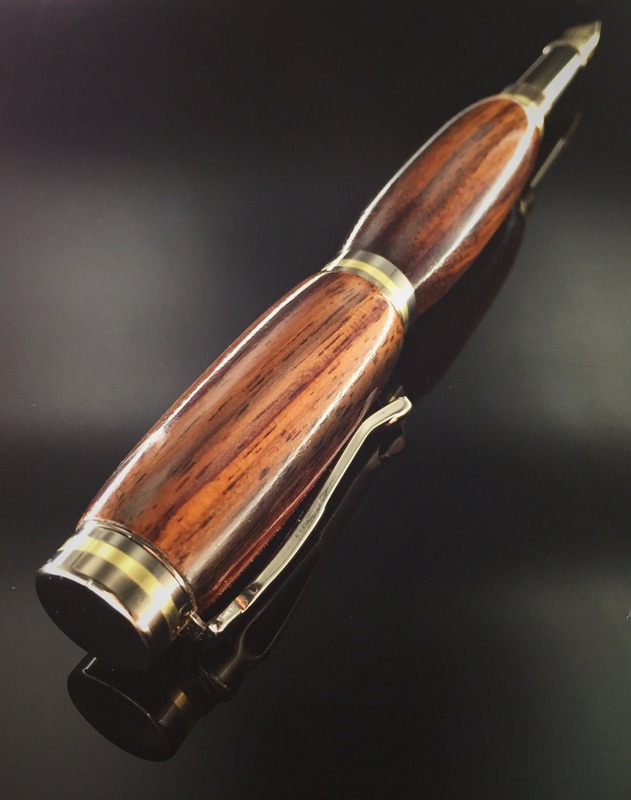 Polished to a beautiful shine and finished with carnauba wax for a durable outer coat.